Connect on a personal level and generate valuable customer insights with our innovative suite of mobile interactive solutions. Amplify your social media strategy and get ahead of the curve to drive lasting customer loyalty – and more sales. Turn your music into a social listening experience. Invite your customers to influence your music and let them select the songs they want to hear most. The most popular songs in the mix rise to the top of the playlist. 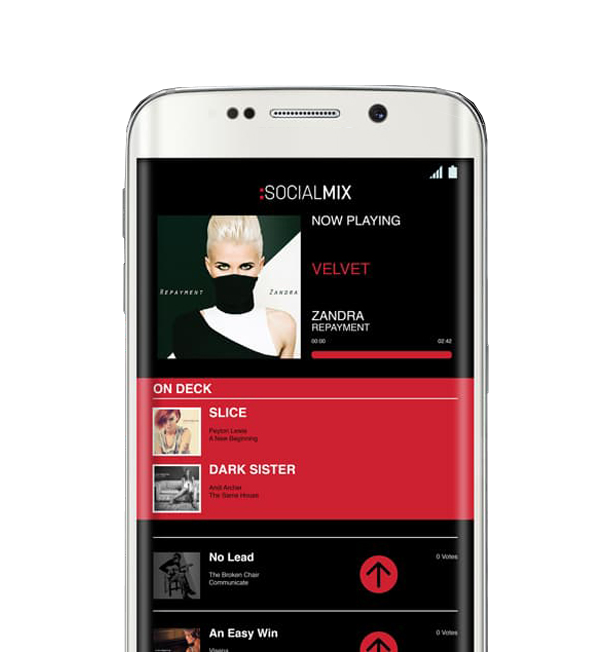 Turn your music into a social listening experience. Invite your customers to interact with the music playing in your business and allow them to select the songs they want to hear most. The most popular songs in the mix rise to the top of the playlist. Elevate your customer experience through the power of Social Solutions. Contact us today.